Home Tech How Does the Scrap Metal Recycling Process Work? 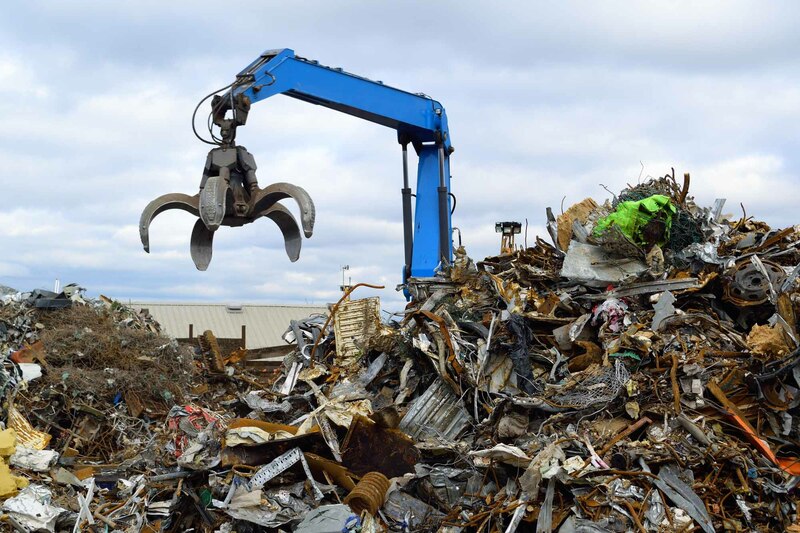 How Does the Scrap Metal Recycling Process Work? Metal is more valuable than you think. If you have leftover metal, you can recycle it and make some extra money. Here’s how the scrap metal recycling process works. Did you know nearly 10 million tons of metal is recycled each year? But do you ever wonder where the scrap metal you or your business puts out for recycling ends up? The scrap metal recycling process is actually quite interesting, besides being rather profitable. Here’s what it’s all about. This is the bit where your scrap metal is sold to scrap yards. Selling it, rather than throwing it away, can land you a nice bit of cash. But be sure to check the prices on offer before you recycle metal, as some places will give you a better deal than others. Scrap copper prices can command a wide range of prices, for example. This is because its price is particularly prone to fluctuation. Sources of scrap metal may include household waste, scrap vehicles, old fittings like pipes and cabling, swimming pool linings, and much more. Scrapyards will sort the metals into various piles ready for further processing. This may involve splitting apart materials which were bonded together, as well as using magnets to sort magnetic materials (which contain iron) from the others. Materials may also be sorted by quality, for example, if some of the material they’re working with has been contaminated by other materials. To make melting down the metals faster, they’re first cut and shred into smaller shapes. This increases their surface area, which makes them easier to bring to the melting point. Each metal needs to be melted at a different temperature, so the next step normally takes place in different furnaces. This also means different metals can be tackled simultaneously, making the process much faster. To ensure a pure end-product, the melted metals must be purified. This often takes place using a technique called electrolysis. In very basic terms, this uses two electrodes and a current to move all pure metal molecules through a solution to arrive in one place. All the impurities are left behind as a sludge, which can then be scraped out of the tank and dumped. This is the step you’ve all been waiting for–shaping that molten metal into something new to serve a new purpose. Normally, though, the metal won’t immediately be made into a consumer product. It’ll often be made into rods, sheets, or bars. That way, it’s ready for manufacturers to buy, meltdown, and reshape again into the parts they need. So, steps 3 and 5 will be repeated at their factory to create the new metal shapes. Scrap metal recycling can give you a shiny new source of income. For many people, this will just be a nice bit of cash on the side. And it’s certainly better than a backyard full of rusty metal! If you’re thinking of turning it into a business, though, check out the rest of our site for great advice on how to make it a success. We’ve also got some ideas for passive income schemes to create even more revenue streams. Or, if you’re a householder, here’s how to cut down your use of plastic and prevent the need for recycling in the first place. Why does your brand need a MAP Monitoring service?